A picture of the LJN Video Art console. The LJN Video Art is an educational home video game console that was developed and manufactured by LJN Toys, Ltd.. The console was introduced in 1985, but the exact release date is unknown. A single cartridge was included in the product, that being the Video Art Activity Cartridge. It contains several wireframe drawings that can be coloured, similar to a colouring book. Turning on the system without the cartridge inserted would give the user a blank screen which he/she could draw on. Other cartridges were made available for the system, however, they are incredibly rare and have yet to surface, physical or emulation. While the console itself (and the Activity Cartridge) can be bought easily, neither the system nor any of the cartridges have been emulated so far. Video Art was intended to compete against television instead of the mainstream game consoles at the time, such as the Nintendo Entertainment System and the Sega Master System. 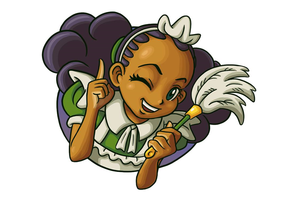 Functionality was similar to basic personal computer paint programs such as MacPaint and Microsoft Paint, and also offered games with a colouring book. The console used Twin-lead connectors with metal fork-shaped prongs, which are notoriously difficult to set up, as it required screwing them into your TV. The prongs had become outdated at the time, with its last use being in the late 1970s, long before the system was released. This also required the consumer to use an older TV to be able to use the Video Art, as many new TVs did not have the correct attachments. Another flaw was the non-existent (though it did produce a static like sound similar to white noise) background music. This meant nothing was there to listen to and keep the user occupied, aside from the games. The sound has been described as unpleasant to the ears. The system's joystick was also too stiff and had far too much travel to be able to draw with good precision. The top button would need to be depressed while simultaneously moving the joystick at the same time to draw. This made it difficult to move the joystick for precise drawing. A button on the console allowed the user to erase with the joystick instead of draw, and two buttons on the controller, one that would lock the cursor vertically, and the other horizontally. 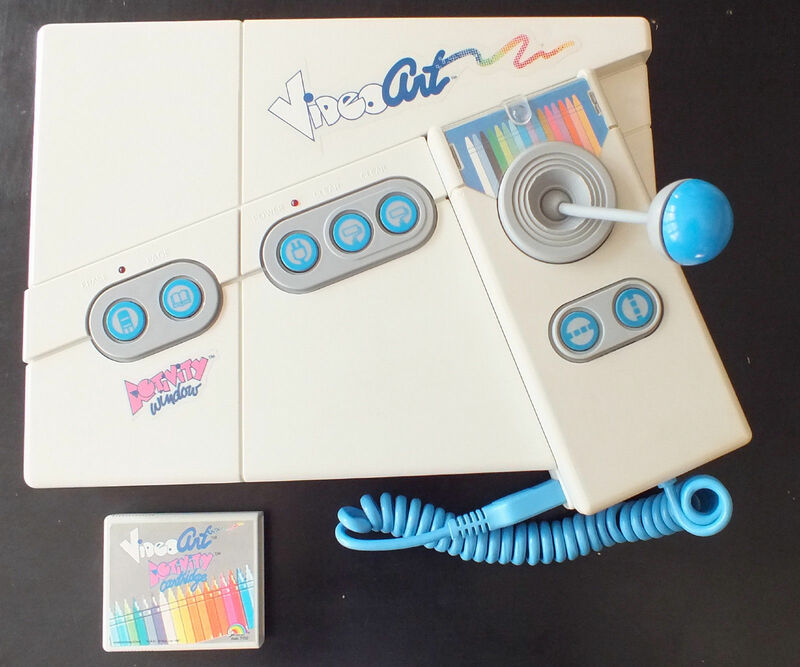 There were no tools the user could use, with drawing, erasing or changing the colour using the controller the only possible options. Squeaking noises were also made when moving the joystick, which annoyed many reviewers. The console was largely forgotten until December 22nd, 2014, when an Angry Video Game Nerd episode covering the console was released as part of the show's 12 Days of Shitsmas sub-series.